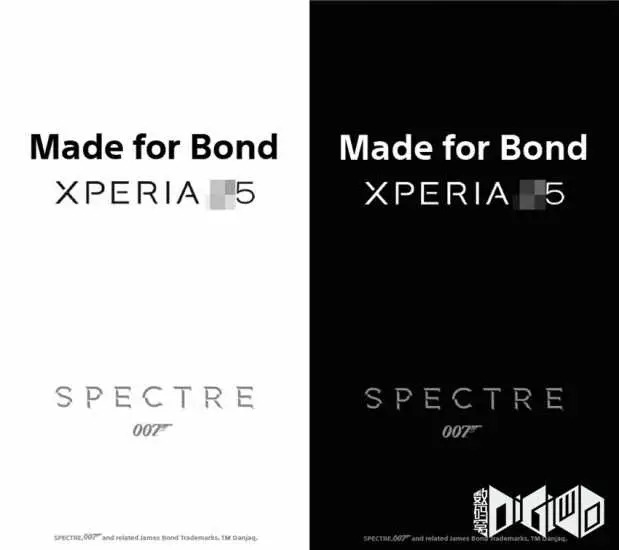 Will 007 Spectre launch a majorly redesigned Sony Xperia Z5? This pair of images appeared on Chinese site Digi-wo, and look to be part of the pending PR material to be used for the upcoming movie, Spectre. Before beginning this piece in earnest, we must caution that as the source is not Sony, there is ultimately no way to guarantee authenticity, especially in light of the leak’s more simplistic nature. Assuming these two images are real however, there is a fascinating discussion that one might have in asking the question: just what is being teased? The presence of the number “5” would immediately suggest the device will be the Xperia Z5, a product that would make sense given Japan’s semi-annual product refresh cycle. It is all but assured the Z5 will release, though how Sony might rebrand it for the outside world is another story given the existence of the Z3+. The Z5 would also be the most likely product for the simple reason that James Bond is a big franchise, and Sony has always made it a point to have key product placement in 007 movies with branding prominently visible. The phone could be used for its’ intended purpose as a communications device, or perhaps even as a futuristic prototype developed by Q. This admission, along with the alleged $5,000,000 Sony had to pay Daniel Craig to use the phone would certainly suggest it wants to get the most from such a fiscal outlay, and in doing so, would seemingly need to make a big-impact device. Given that some long-term Xperia users felt the Z4 was little more than a “Z3s, the name Sony gave it globally (Z3+) was surprisingly apropos. Indeed even here at Android Authority there was some disappointment. Where was the radically redesigned flagship that would truly allow Sony to play with the “big boys” on the mass market radar? Earlier this year, pictures of a phone that was believed to be the (then) upcoming Z4 were leaked which showed a slightly modified design. The images, said to have originated from a pitch Sony made for the Bond movie, show a phone, “The Elemental” which looked to have had a metal frame. The power button however, still looked true to the Xperia Z design language. Ultimately the question is just what Sony plans to do with this pair of products, if anything at all. It’s possible they were nothing more than ideas for what became the Z4/Z3+. It’s also possible they were deliberately held off for consideration with Spectre tie-in promotion, ultimately creating the arguably “less inspired” Z4 that is now in stores. Of course there is one last question asked as well, namely just how receptive the public would be of these phones should they ever materialize. “The Elemental” actually looks rather similar to the current Z-series, and in some ways, the second phone looks almost like a step back in terms of design language; almost too Samsung Galaxy Tab 4-esque with the sliver of chrome (plastic?) that rings around the frame’s perimeter. Do either of them look cool enough for the mainstream customer to use, let alone James Bond himself? In light of Sony Mobile’s optimistic views of the future and assurance it’s not going anywhere, there could potentially be some big success for the Z5 if it can come packing heat. 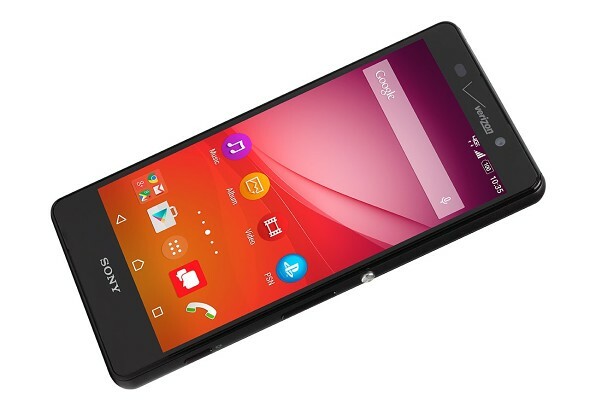 The Xperia Z4v (pictured below) is a good place to start thanks to the souped-up internals it has, namely a QHD display: the first ever to be used on a Sony smartphone. The design is another element that many want to see altered, given that the previous four models are relatively unchanged compared to say, the differences between the Samsung Galaxy S5 and S6. 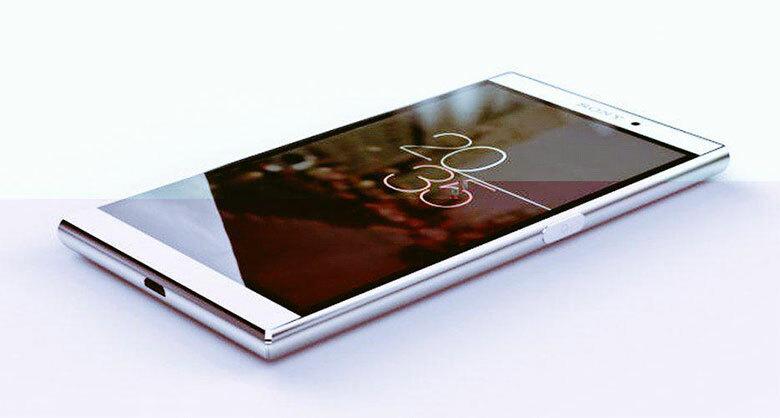 The Xperia Z4v has some extra points of interest going for it, but is ultimately still similar to the past 3 models. Still, we caution readers not to get too optimistic. Even if Sony were to have made the leaked pictures, there could technically be any letter of the English alphabet preceeding the number 5. It could be the E5 for example, or even the M5 to reference the famous motorway from where James Bond calls home. It could also be an all-together new product, perhaps an Xperia “X5”, though if the movie is going to launch a new series of products, it would be best to eliminate the 5 entirely less it be seen as in the same vein as current existing lines. Please also keep in mind that this entire piece is ultimately just speculation based on likely or potential possibilities. 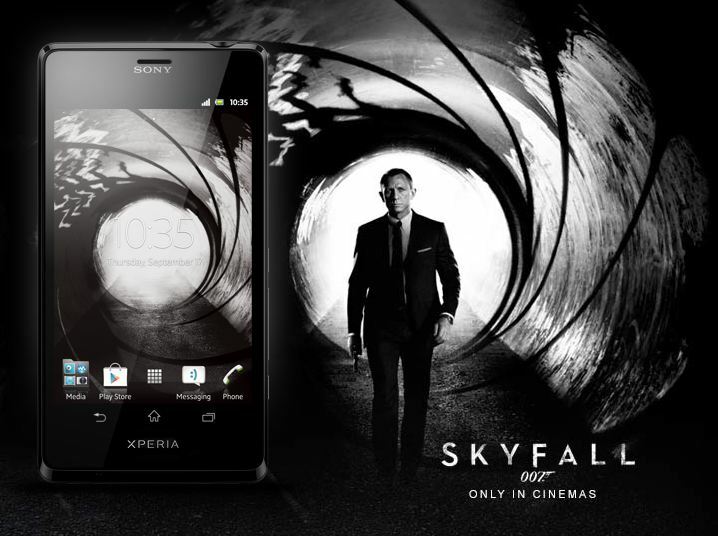 Considering that Sony actually used an Xperia T-series in Skyfall, there really is no telling just what it might actually be planning. At the very least, we can hope that this potential product will usher in a new era for Sony Mobile, one that finally gives it the very oomph and appeal needed to stabilize its situation and start earning market share in countries other than its own, where the Xperia smartphone comes in second only to Apple’s iPhone.